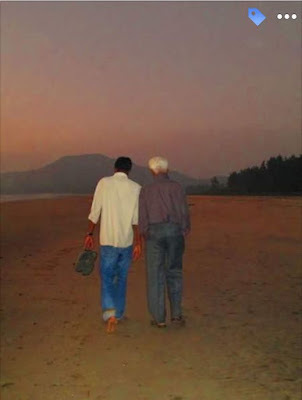 For folks who are friends with Parsis, their food is just an added benefit of their friendship. But for lesser mortals like me, this is only the stuff one reads about. So when a friend recommended this place, a plan was put in place and here we were. It was a deserted Sunday evening at the usually bustling business district of Horniman Circle when we alighted from the cab opposite the Hermes showroom. A small walk down the circle and we were walking in the first lane passing the about to be opened Bademiyan the Restaurant. Our destination for the evening was Jimmy Boy, one of the few eateries in the city serving authentic Parsi cuisine. Located on a corner of the street as all Irani eateries, this revered place was unusually empty. Excited as we were, we entered and made our way to the mezzanine floor, only to be stopped by the manager. He was quite unapologetic of the fact that they wouldn't switch on the AC for only the two of us. So we settled for a corner table by the window and it turned out to be a good decision. Light breeze blew on the streets, followed by a drizzle, this did wonders to the otherwise nondescript ambiance. Instrumental tracks of Hindi classics were being played in the background and we had a lot of fun in identifying them. We ordered for a Cream of Chicken clear soup to begin our meal. The soup was tasty and just the right amount to kick start a filling meal. After reading a few recommendations on the web, we settled for Dhansaak with brown rice, Salli Jardaloo Chicken and rotis for main course. The rotis turned out to be chapatis and we were not complaining! 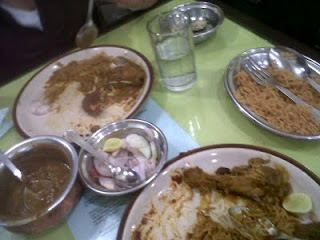 Dhansak had two sizeable chicken pieces and the daal tasted very good. Salli wafers arrived with the jardaaloo chicken and were generously sprinkled on the gravy. Jardaloos are dried apricots and added a sweet flavor to the gravy. The portions were generous. We struggled to finish the brown rice and dhansaak and had to get a doggy bag packed! But we were only done with the main course. One always has room for desserts right? Lagan nu custard or the custard served at marriages arrived as soon as we gave a thumbs up to the manager's suggestion. Not too sweet and sprinkled with lots of dry fruits, this was a perfect dish to end the meal. We didn't order the Lagan Nu Bhonu(spread served at marriages) or the variety of fish dishes but then there is always a next time. 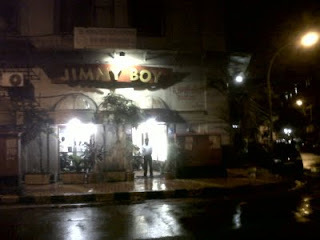 Warm chappatis, good food and excellent company made for a very memorable meal at Jimmy Boy. So the next time you are around Horniman Circle and in the mood for some Parsi fare, this is where you should head. 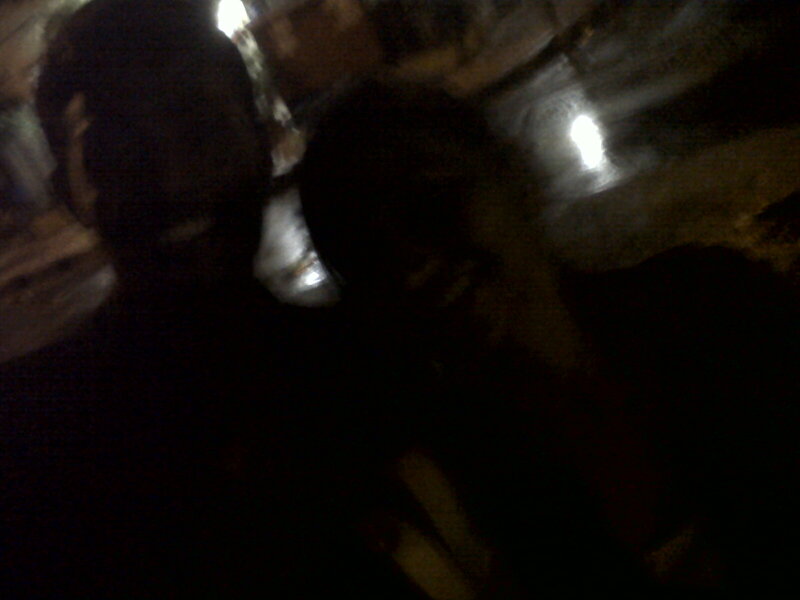 The rainy evening didn't end there but that's another story to tell. Meal for two costs Rs. 800. Lagan nu Bhonu is priced at Rs. 600 per head and has a lot to offer. A tad expensive but this is just Demand-Supply economics at work. Open from 7:30 PM onwards. Aga, wednesday la muhammad ali road cha plan ahe. Join in unless tu Shravan paltes..